Honda’s latest version of the Civic hot hatch: now into its fifth iteration. Although the previous-generation car seems to have only just been released, Honda’s made a big effort to have a quick version of the latest Civic available early. Most importantly, this new Type R is set to be exported from Honda’s UK factory across the globe, including to the USA for the first time. Previously the North American market had been denied the ultimate Civic. Powering the front wheels is a revised version of the 2.0-litre VTEC turbo engine from the last Type R. Power has been increased by 10hp to 320hp, whilst torque has remained the same at 295lb ft. A six-speed manual gearbox is the only transmission on offer, but it does have the ability to match revs for you. There are no official figures yet, but safe to say it will be quicker than the outgoing car. 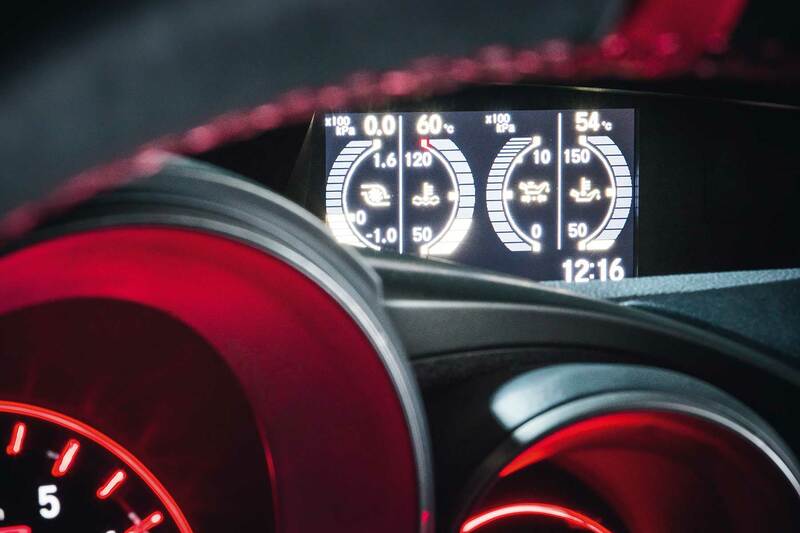 That means 0-62mph in less than 5.7 seconds, and the potential for a top speed even higher than 167mph. There will be a new Nürburgring lap time set, too. 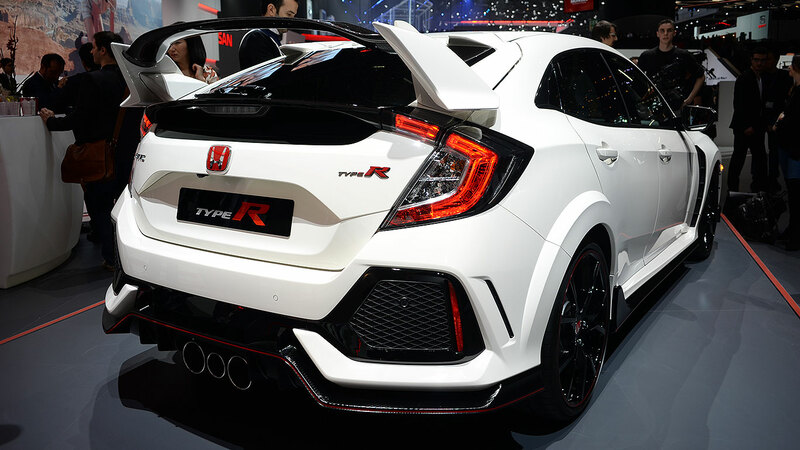 The technology that really makes a difference on the new Civic Type R relates to its crazy and complex aerodynamic styling. Honda claims the new car has class-leading balance, lift and drag, helping with high speed stability. This includes the dramatic rear wing, vortex generators built into the roofline, plus a race-car-like smooth underbody. 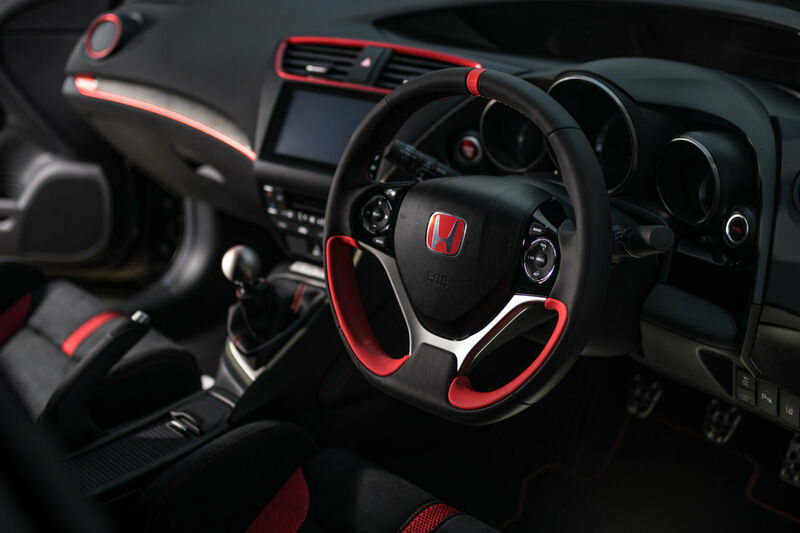 Dark and brooding is the interior theme Honda has gone for, with a set of bright red sports seats illuminating the gloom. 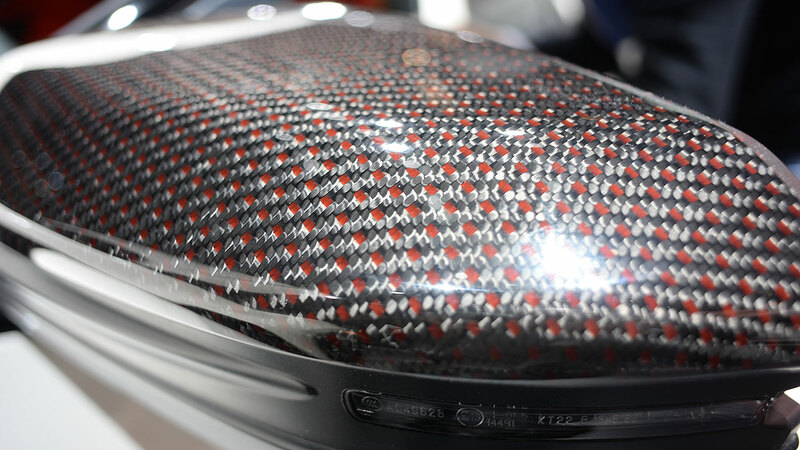 There are also dashes of carbon fibre trim and a lightweight aluminium gear knob for good measure. 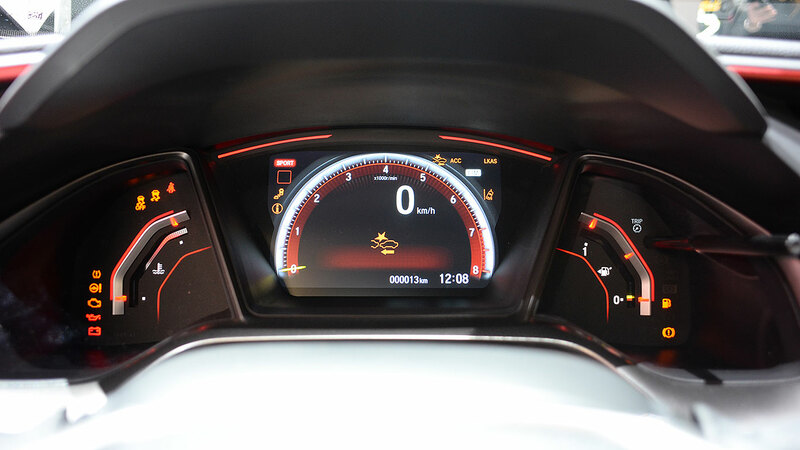 Drivers get a choice of driving modes, with Comfort, Sport, or intense ‘R+’ mode on offer. 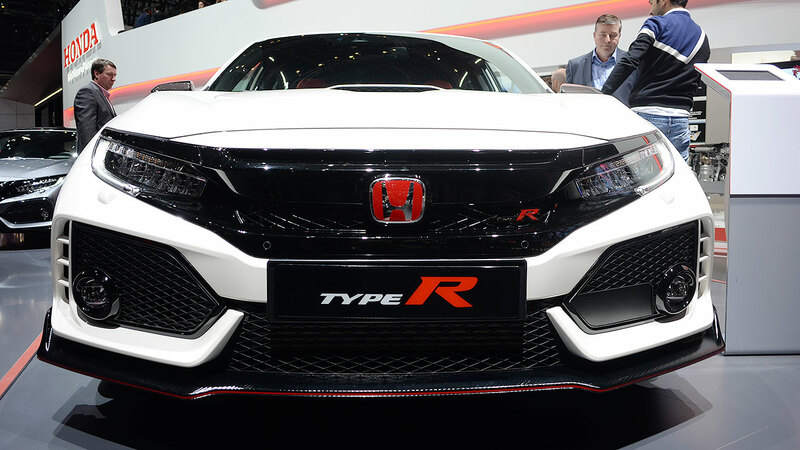 No prices have been announced yet, but the new Type R is expected to cost slightly more than the £30,000 price of the outgoing model in the UK. We expect global pricing will also be competitive. 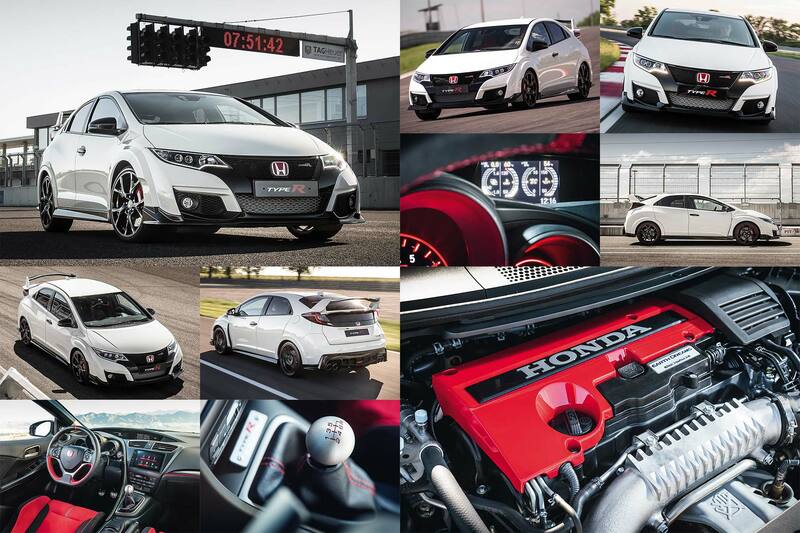 The hot hatch market is ultra-competitive at present, and the new Type R will face a range of opponents. The Volkswagen Golf R and Ford Focus RS will be two of the toughest challengers, along with a recently revised Seat Leon Cupra 300 and a Renaultsport version of the new Megane. 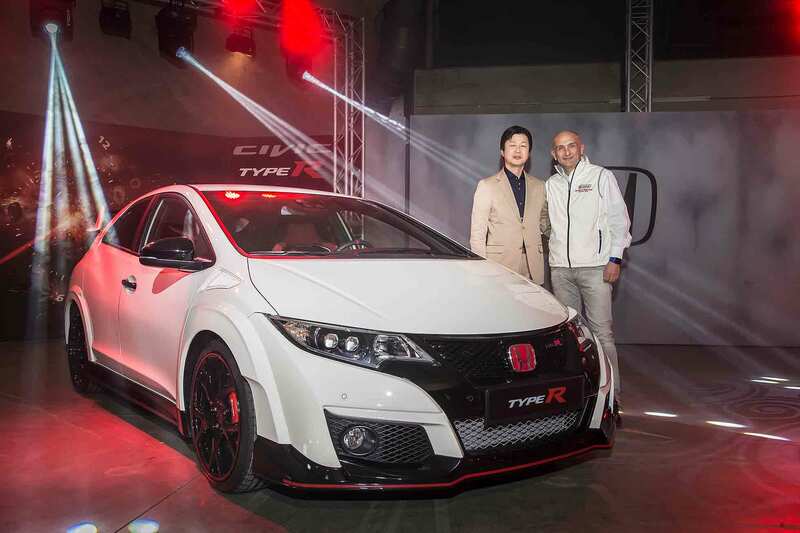 Production of the new Civic Type R is set to start in the summer of 2017, at Honda’s UK factory in Swindon. Exact dates to start harassing your local dealership about placing an order will be confirmed soon, along with prices. 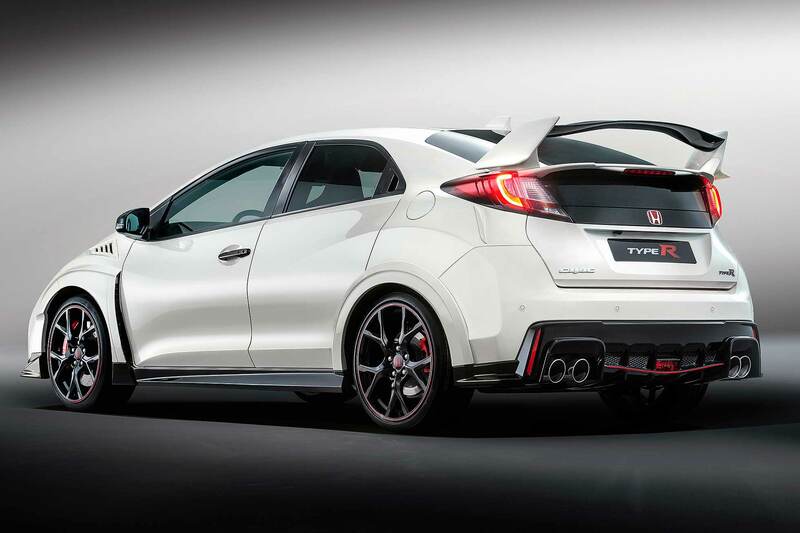 The latest Type R is already generating a bigger buzz than the three exhaust tailpipes it has fitted. By taking the already crazy outgoing car, adding more power and revising the aerodynamics, this Type R will set internet message boards alight. We were a little unsure about the styling of the latest Civic hatchback, with its propensity for multiple angles. The Type R takes this approach and multiplies it, but it makes more sense on an aggressive hot hatch. If Honda can keep the pricing competitive, it will undoubtedly find success. 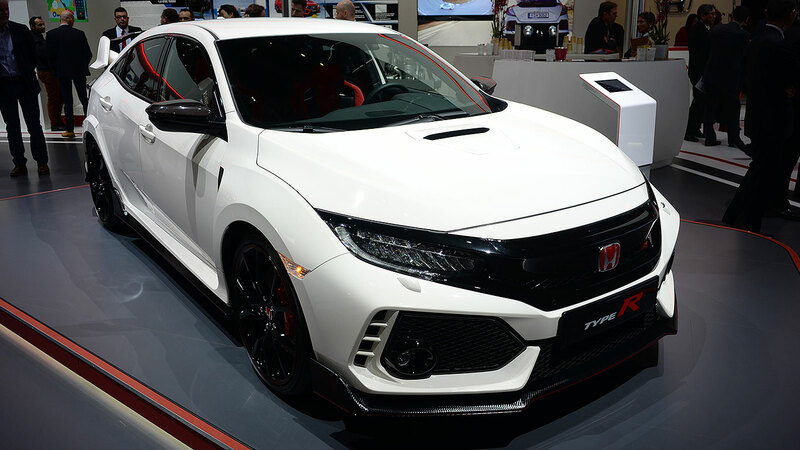 The latest Honda Civic Type R was revealed less than two years ago at the 2015 Geneva Motor Show – but production has now ended, ready for its successor to hit showrooms later this year. 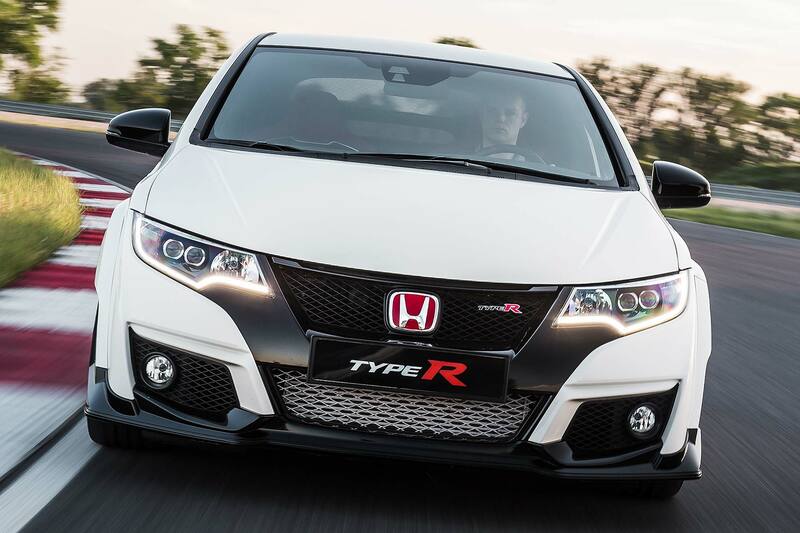 Around 2,500 Type R fans have been lucky enough to buy the short-lived (and much-loved) hot hatch so far, and enthusiasts are being given one last opportunity to buy the outgoing model. 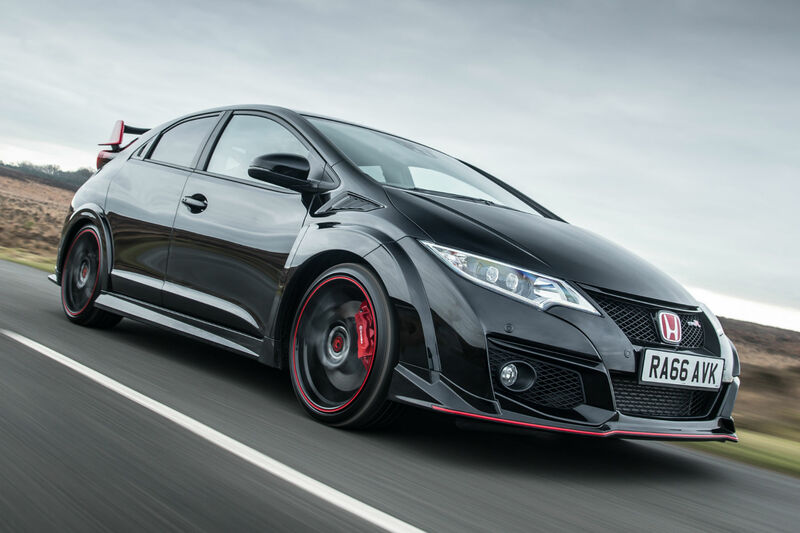 Honda has given the last 100 Civic Type Rs to roll off its Swindon production line the Black Edition treatment. These special models feature a black interior with splashes of red, while red rear wing plates on the spoiler set it apart from the standard model on the outside. 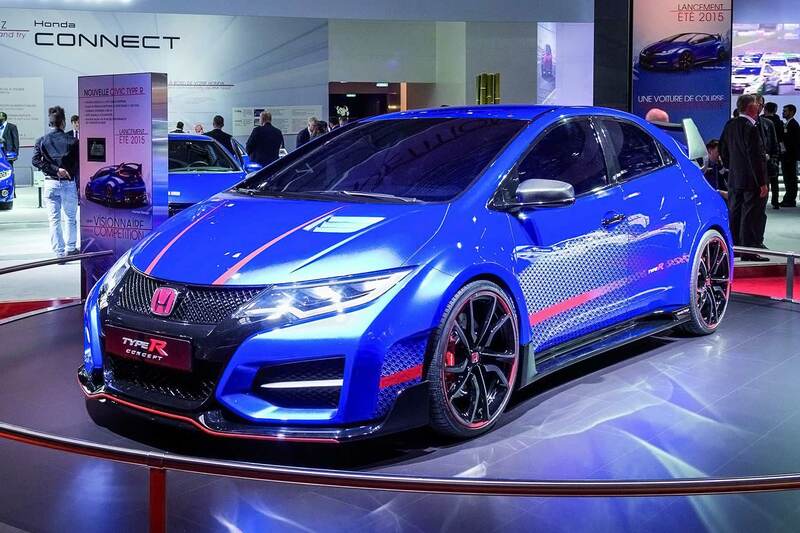 The near-production-ready Civic Type R concept was a surprise appearance at the 2016 Paris Motor Show. 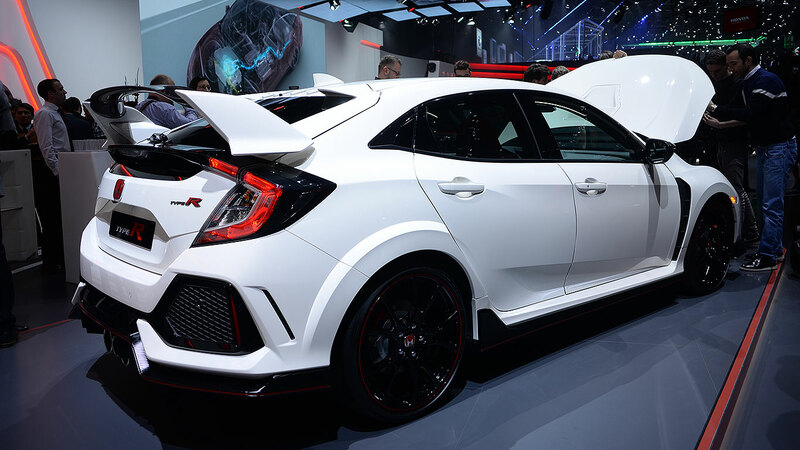 Based on the new Civic hatch, the Type R concept featured a carbon fibre splitter, bling 20-inch alloys and triple-exit exhaust system. Technical details are yet to be confirmed, but rumours suggest it’ll be powered by the same four-cylinder 2.0-litre turbo as its predecessor – with power turned up to as much as 340hp (compared to the 310hp currently on offer). That power increase could necessitate a four-wheel-drive drivetrain (something the Hondahas resisted thus far), which in turn could make it an even more serious competitor to its arch-nemesis: the Ford Focus RS. 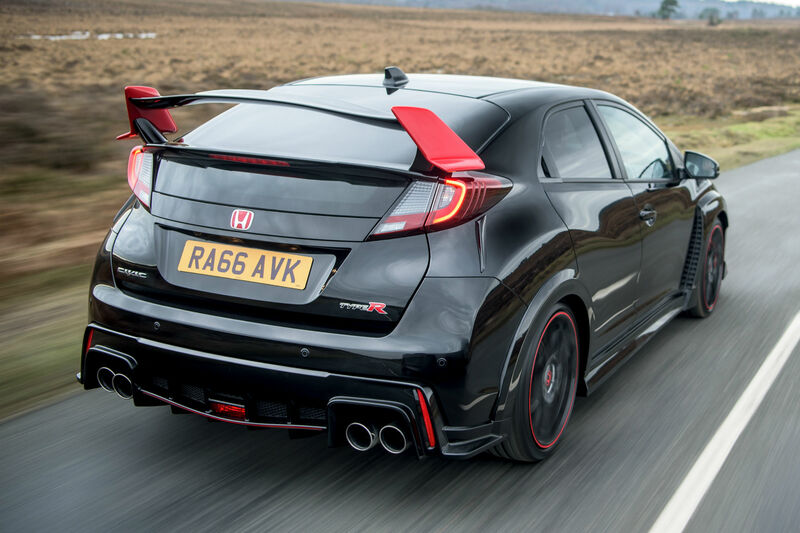 The Honda Civic Type R Black Edition models are on their way to dealers now, with prices set at the same £32,300 as the standard model. We’re among the first to drive the all-new Honda Civic Type R, finally here a full five years after the last one was phased out. Has it been worth the wait? 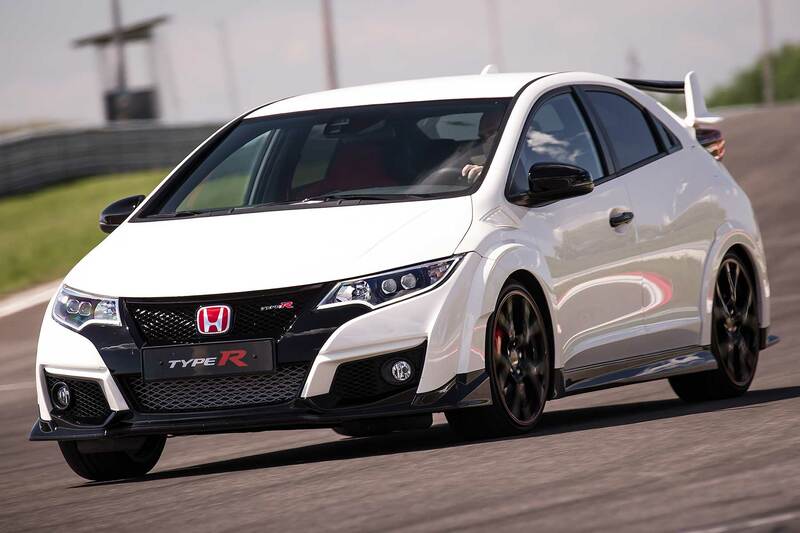 The Honda Civic Type R was last sold in 2010. Five years later, the all-new one joins a crowded marketplace. Volkswagen’s Golf GTI continues to thrive, the RenaultSport Megane and SEAT Leon Cupra have been busy fighting one another for the Nurburgring crown and Ford’s been readying both a facelifted Focus ST and a snarling new Mustang-engined RS. 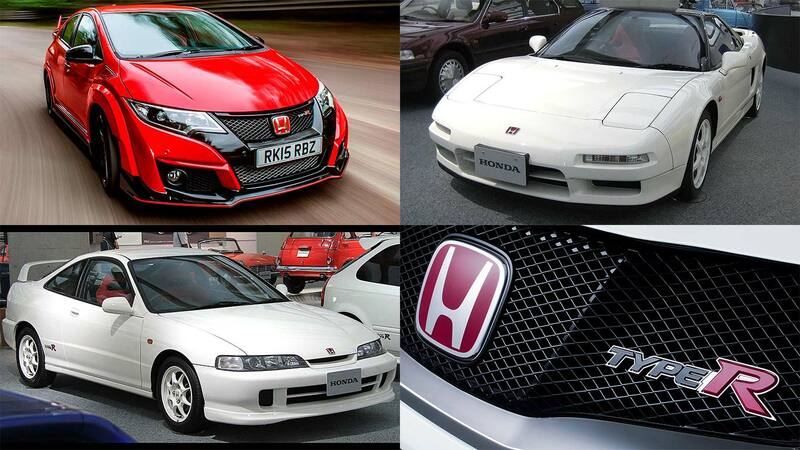 Honda’s answer is, in classic Type R style, striking. The new five-door hatch has 310hp, can do 167mph and accelerate from 0-62mph in just 5.7 seconds. Every single rival, immediately beaten. It’s also snatched Nurburgring FWD lap record honours from an aghast Renault and SEAT and, more controversially, risked leaving Type R traditionalists aghast by enhancing the VTEC engine with a turbo for the first time. The fact it looks so incredibly fearsome has partly helped ally the fears. This is, in an instant, the most aggressive and specialised hot hatch on sale, with kudos coming from the fact the bodykit’s not just for show, either: it’s the first hot hatch to generate negative lift at speed, both front and rear. As for the £29,995 list price – or the £32,295 price of the GT pack model 1 in 2 buyers will go for – it initially seems higher than rivals but, adjusted for specification and, vitally, considering the Type R’s performance advantage, it’s actually pretty sharp. There’s even a finance deal that lets you buy it for £300 a month. Still, questions remain though. How on earth can a front-wheel drive car (no, Honda’s not given it four-wheel drive) cope with 310hp of turbo-boosted power? And can a Type R with a turbo possibly wear the legendary red badge proudly? Only the first few hundred yards of your first drive will have you fearing the Civic Type R is too extreme: at low speed, the ride is undeniably stiff and sensitive to potholes, smashing and crashing severely at times. Let the suspension do its work, rather than just the shallow-profile 19-inch tyres, and things improve considerably. 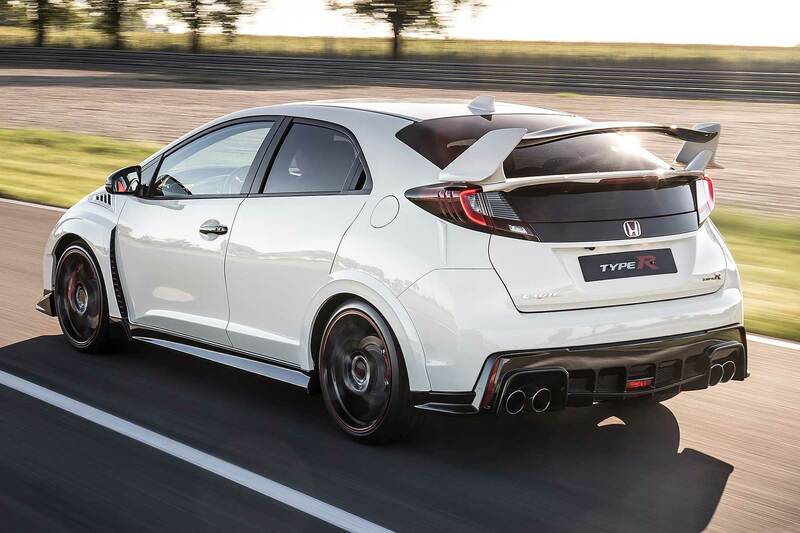 Honda has completely redesigned the suspension of the Civic Type R. It has torque steer-quelling dual axis front suspension, a twice-as-stiff rear twist beam and high-tech ADS adaptive dampers as standard. Those dampers make it surprisingly supple, compliant and controlled at speed, but can be firmed up 30% at the press of an R+ button: this feels good. What feels even better is booting the accelerator hard and feeling the full force of 310hp. Not because it’s explosive, but because the front wheels defy odds by digging in, finding traction and delivering all that power to the road, rather than spinning it away in a smokey, torque-steer-laden mess. The bite of the Civic’s front end is little short of astounding that Honda’s been able to make it do this. Rivals could learn plenty. Perhaps the characteristics of the engine help. 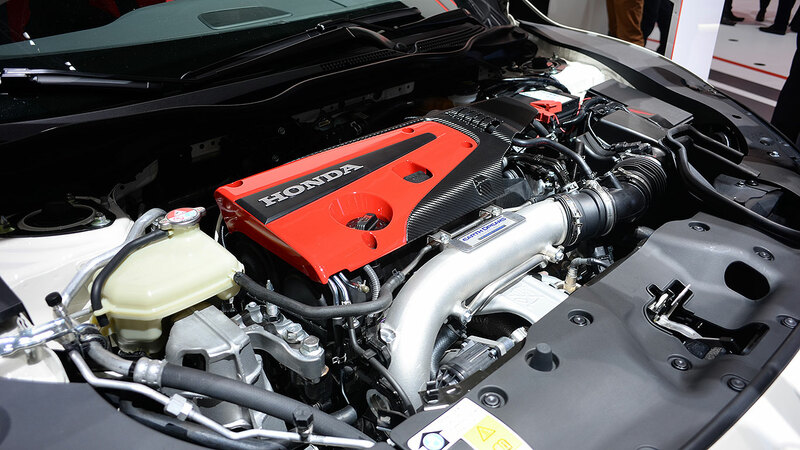 We told chief engineer Hisayuki Yagi that we felt it was VTEC first, with added turbo power, rather than the other way around. He beamed: the smile said it all. You still have to rev it like a VTEC, still get the biggest bang as you near the 7,000rpm redline: only this time, there is some semblance of torquey pull lower down – oh, and the small matter of an extra 110hp over the previous VTEC engine that didn’t have a turbo. 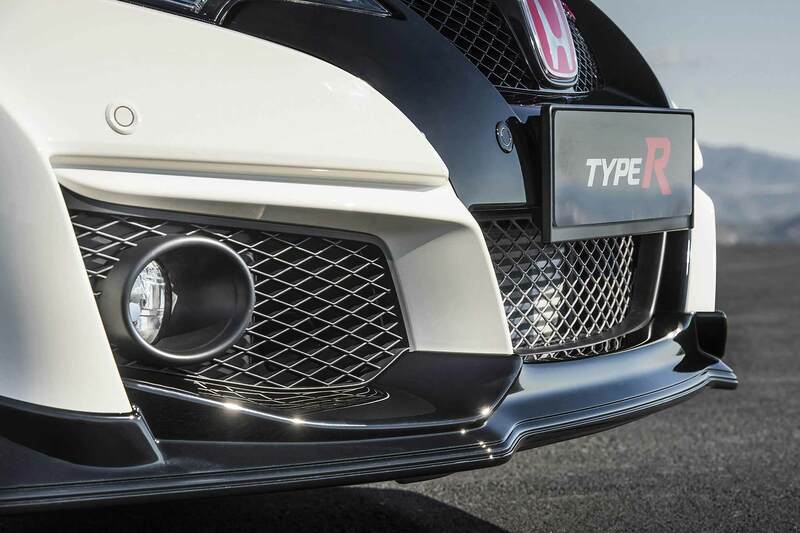 Be in no doubt, the Civic Type R has attitude. It responds with immediacy, is lively and electric, rewards you immensely for driving it with manic vigour. It’s just that this time, there’s a welcome layer of usability, flexibility and rolling comfort on top. Buyers are going to find this very appealing indeed. What it can’t match, though, is the ultimate precision of the class-leading Renaultsport Megane Trophy (and it’s near-perfect £38k cousin, the 1-of-15 Trophy-R). If you’re after the last edge of fingertip precision from the steering, detail-flooding feedback from the front end and solid confidence to use the brakes very, very hard indeed, you should still go for the otherwise aged and dated Megane. For the rest of us, the Civic’s likely to plain electrify. Ford Focus RS development team, were you expecting this? The interior of the regular Civic has been richened with Type R specifics, but it’s still the weak area of the car. Impeccably assembled, it’s still too plasticky in appearance, with a downmarket appearance to the trim that’s more budget city car rather than Audi-like Volkswagen. The Type R bits are a complete success though. The chunky, flat-bottom steering wheel is lovely, classic titanium-topped gearlever beautiful and even the dials have been given a polished appearance. Alcantara trim has neat red stitching, red seat belts are retro-tastic and we love the bespoke electronic dials that appear when you press the red R+ button. The best bit are the seats. 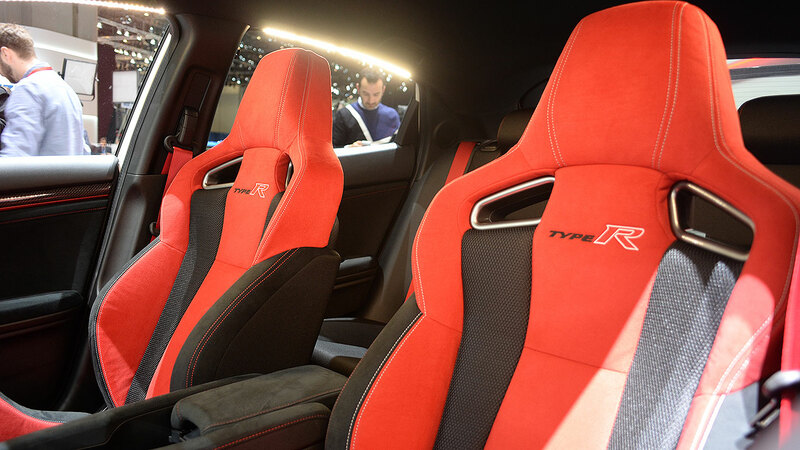 They are exceptional, some of the best seats you’ll find in any car. Be careful when you first get in, because the deeply bucketed bolsters are hard and hip-hugging, but the focused grasp they hold you in is a treat. They look brilliant and endow the Civic Type R with further Porsche 911 GT3 RS vibes. It’s practical, too. The 498-litre boot is disarmingly large – like, really large, particularly in depth – and the rear cabin is awash with space as well. All Type R are well equipped – choose the GT for sat nav, tech goodies and a better stereo – and, overall, it’s a supremely practical family-focused hot hatch that just happens to also do 167mph and 0-62mph in 5.7 seconds. Honda claim 38.7mpg and 170g/km CO2 for the Civic Type R which, considering its stonking performance, seems pretty fair. It’s considerably more fuel efficient than the 2010-spec Type R, despite its 110 extra horses, if not a match for the 47.1mpg Golf (220hp) or Ford Focus ST (250hp). The £29,995 list price is sweetened by that £299 a month PCP finance deal; it requires a 30% deposit but that’s still striking accessibility for the hot hatch of the moment. Honda says upgrading to the GT pack will only cost £10 a month more. We only expect positive news for depreciation too. Honda’s currently quoting a five-month delivery time, and that’s before any reviews of the car were published: when they are, the firm expects this to grow further as demand builds. It can only help strengthen used values further. 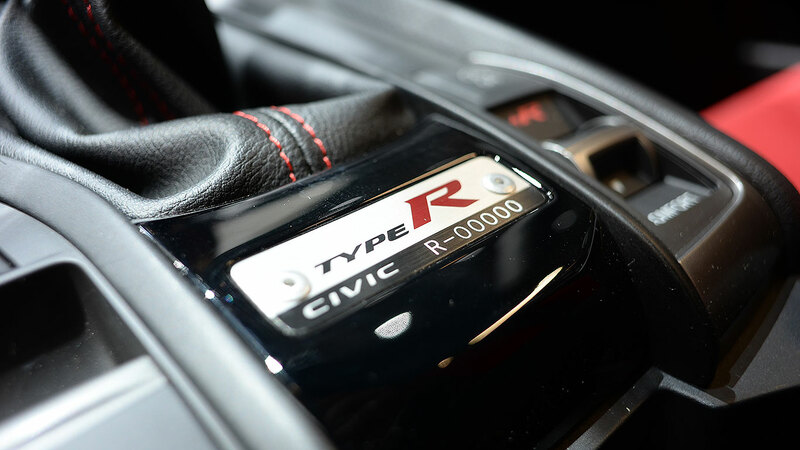 Honda has delivered better than we ever expected with the Civic Type R. On paper, it shouldn’t work; in practice, it does so with considerable ability and real charisma. The iconic Nissan Skyline GT-R is celebrating its 50th anniversary in 2019, but the story doesn’t begin with the ‘Hakosuka’ of 1969. Instead, the Skyline GT-R can trace its roots back to a saloon car of the 1950s, before the family tree branches off with the launch of the Nissan GT-R in 2007, culminating most recently in the Italdesign GT-R50. Here, we take a brief look at the history of one of Japan’s most exhilarating performance cars. 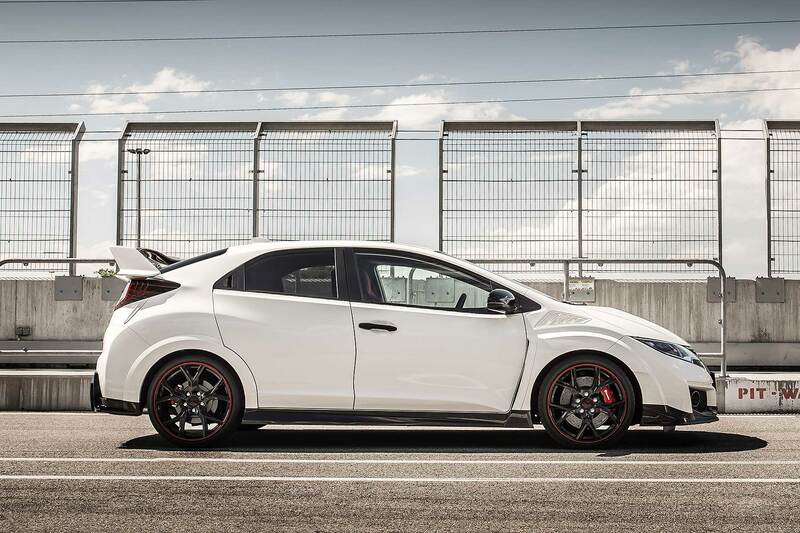 The 167mph new 2015 Honda Civic Type R! 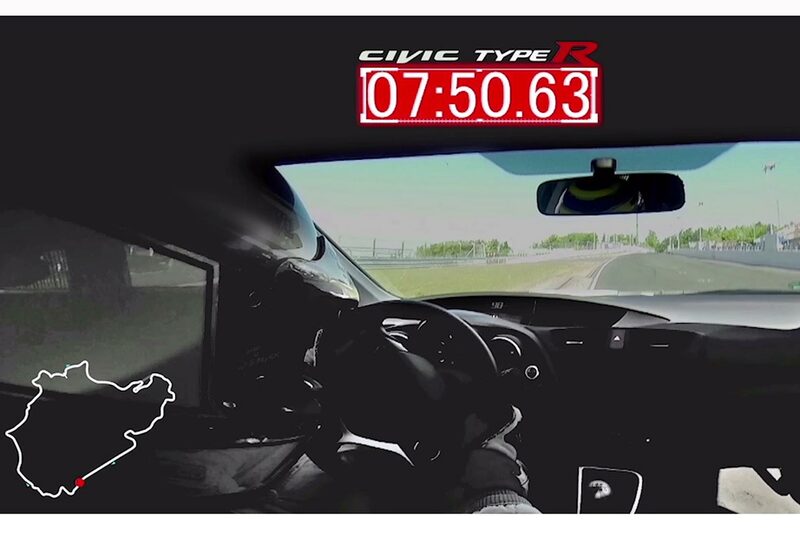 https://www.motoringresearch.com/wp-content/uploads/2015/02/03_2015_Honda_Civic_Type_R-1.jpg 1306 1960 Richard Aucock https://www.motoringresearch.com/wp-content/uploads/2018/12/mr-top-motoring.svg Richard Aucock2015-02-11 04:13:142015-02-11 04:13:14The 167mph new 2015 Honda Civic Type R! 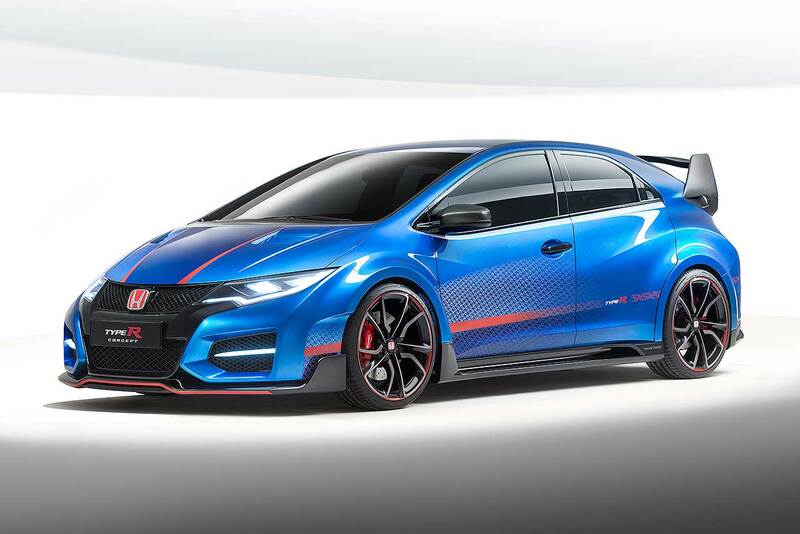 Honda has opened ordering for the new 2015 Type R hot hatch – even though neither an official on sale date nor a price have been announced.